The following information is found in the Weekly Message from the Superintendent on January 29, 2019. The Illinois State Board of Education annually sponsors Those Who Excel to honor individuals who have made significant contributions to our state's public and nonpublic elementary and secondary schools. The application is available in the Weekly Message along with more detailed information. 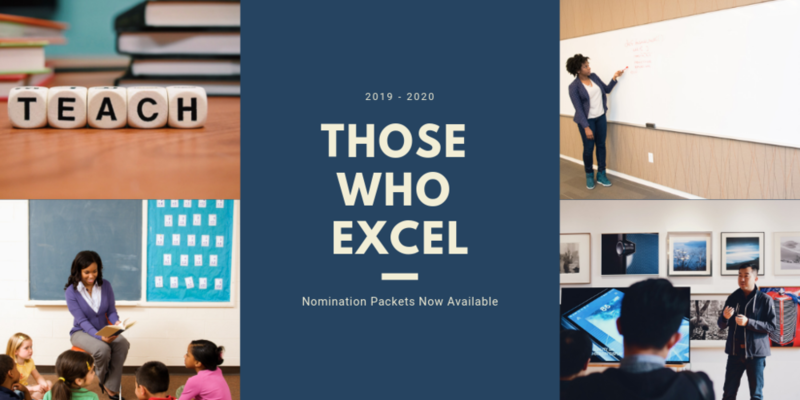 Applications must be received electronically or postmarked by June 3, 2019.